When marketing your brand, you want your message to resonate with customers, and that’s where personalized business stickers come in. Truth is, you can have the best marketing messaging, but if it doesn’t stick, it may not be worth the paper it’s printed on. What better way to get your message across quickly than with custom business stickers? Stickers are often an affordable option for your branding efforts, whether you want to hand out window stickers as a parade giveaway or you want custom stickers for trade shows. The applications are limited only by your imagination. So, whether your brand makes your customers want to brag about it (and show it off wherever it will stick!) or you’re looking for a guerrilla marketing technique that is low-cost but catches the eye of your potential customers, custom bumper stickers, window clings and stickers can be a budget-friendly way for audiences to get stuck on you. 1. Custom reflective stickers can help keep customers safe on their evening walk or morning jog. 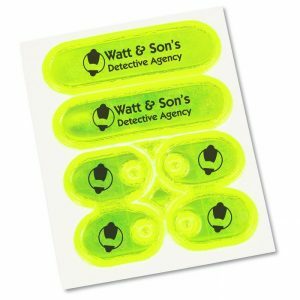 Show customers you care with these Reflective Tag-Stix Shoe Stickers. 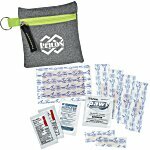 These are the perfect giveaway for walkers, runners and pedestrians alike. Meanwhile, these Helmet Reflectors are sure to shine a light on your marketing. 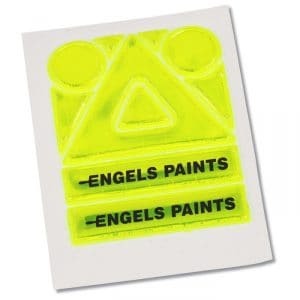 Not just for helmets, these reflective stickers can be placed on skateboards, wagons, bike strollers and more! Want something that’s a little more…reptilian? 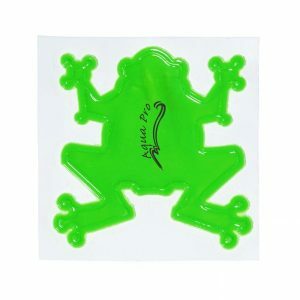 How about this Reflective Sticker – Frog! This bright, bold sticker will have business leaping your way. 2. 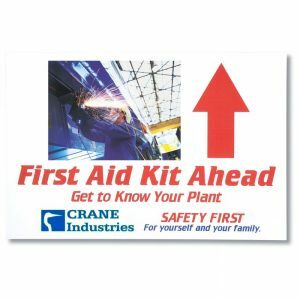 Branded removable stickers and clings will be a marketing mainstay when they’re both useful and practical for your prospects. Check out these custom Removable Floor Stickers. These custom business stickers will help customers find their way back to your brand. Looking for year-long exposure? 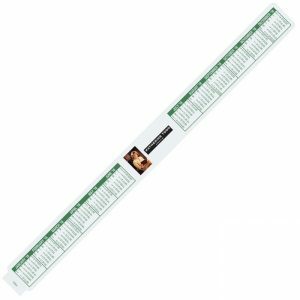 Try Repositionable Monitor Calendar Clings. Your clients will wonder how they ever got along without you. 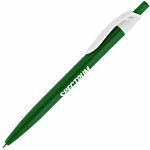 Looking for something that will make an even bigger branding splash at higher speeds? How about mobilizing your logo with this custom Removable Vinyl Bumper Sticker? Available in full color, this removable sticker will go countless miles and take your brand with it. 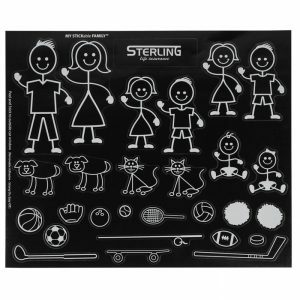 Or jump on the stick-family trend; your customers are sure to stop traffic with My STICKable Sport Family window clings. 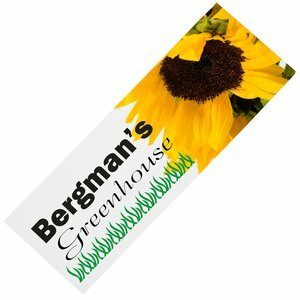 Customized with your logo—these are great window stickers for business. 3. Want something more formal, but with all the function of personalized business stickers? 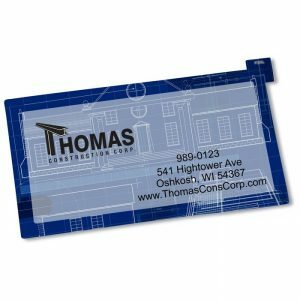 This Business Card Repositionable Sticker helps keep your contact info within arm’s reach of your customers. And when you’re ready to seal the deal with elegance, choose these customized Stamped Seal by the Roll stickers. 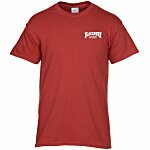 With the foil-stamped imprint, you’ll close your sale in style. 4. And if classic, fun stickers are more your speed, there are plenty of those on the market too, ready for your branding touch. 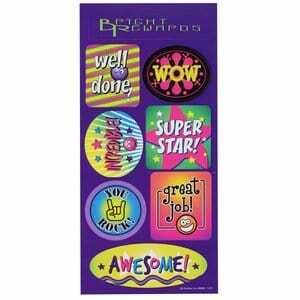 Make your business a super star among its youngest customers with these Super Kid Sticker Sheets. Looking for creative ways to showcase your tagline? 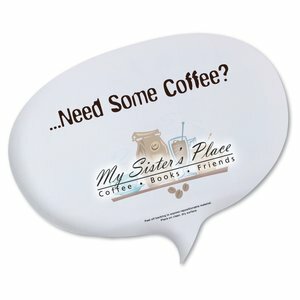 Choose these Repositionable Sticker Sign – Quote Balloon stickers. Whether you’re looking for fun or classic styles, there’s sure to be a personalized business sticker that will capture the spirit of your brand and keep your customers glued to your every marketing move. Choosing promotional products that your customers and clients will keep and use day after day makes your marketing dollars work hard for your brand. 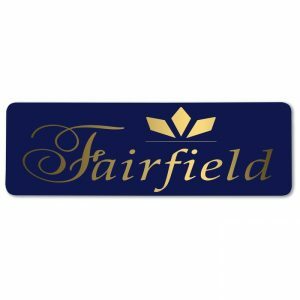 Personalized business stickers are a great option, as they bond your brand to your audience’s computers, cars, cubicles and more. And in the end, that will have them sticking with you as a customer. Suzanne Worwood is VP of Merchandising and has been with 4imprint for 18 years. Inspired by the retail environment and her own world travels, Suzanne writes about all things product: trends, uses, colors, designs. Removable Euro Bumper Stickers can be beneficial promotion for cause-related organizations, giving volunteers and donors a simple way to show their support.